Click on the Play Button and '4 Wheel Madness 3' will start after this message... Thanks for waiting! Drive a monster truck on six different tracks and get the best time. Collect nitro and press the space bar to speed up. New tracks available! Choose a monster truck and finish the tracks collecting as much money as you can to upgrade your car. Drive a monster truck and reach the goal as fast as possible by tackling the obstacles. Enjoy the tricks! Finish the tracks in your small van and spend on turning it into a huge bigfoot. You're in charge of testing these moster trucks, so complete the missions you're assigned in each level. This is yet another monster truck game. Crush the obstacles you find and collect the stars! Choose a bigfoot the original monster truck and finish several tracks crushing the vehicles you find on your way. 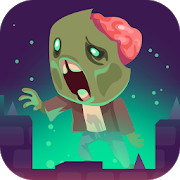 There's even a Zombie mode! Dive a big foot on all kinds of tracks and run over the obstacles you find in your way to get a higher score. A new thrilling race is waiting for you! Speed up while running away from your hungry enemies. Dodge the obstacles with the most amazing jumps, collect as many stars as you can and complete the missions. Choose one of the monster trucks and start running over cars. Collect money to upgrade your truck.